Events to get you connected to YPs, opportunities for professional development, and where the fun happens. 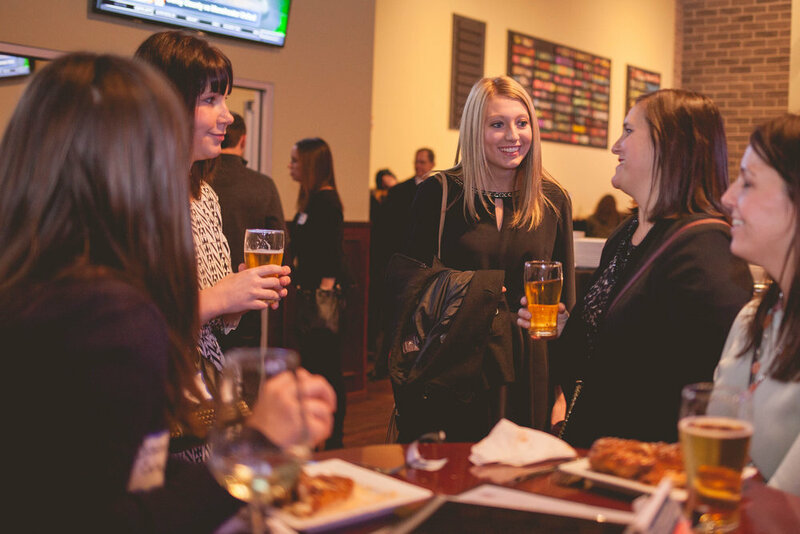 What it's like: Low-key social gatherings in local bars, restaurants, and breweries are perfect for meeting new YPs and connecting with familiar faces. We rotate between downtown, midtown, and the northside. Pro-tip: Introduce yourself to a few people you've never met. Ask questions like: "how did you decide to do what you do? ", "what's your favorite thing to do? ", and "what's your story?". Then give your answers. What it's like: Leaders from local companies lead a breakfast talk, a lunch and learn, or panel and give their insights and knowledge based on their experiences and ways you can develop in your professional career. Pro-tip: Research the speaker(s) ahead of time and become familiar with their background. Come with questions. Discuss key takeaways with other attendees. Shoot them a message after the event and thank them for their talk. What it's like: Cheer on Indy's local sports teams with other fans who also happen to be YPs. You'll have a chance to grab a beer and network with others before the game. Pro-tip: Invite a friend, co-worker, client, or prospect to network and attend the game. These events are a great opportunity to keep in touch with co-workers or clients outside of the normal office setting. 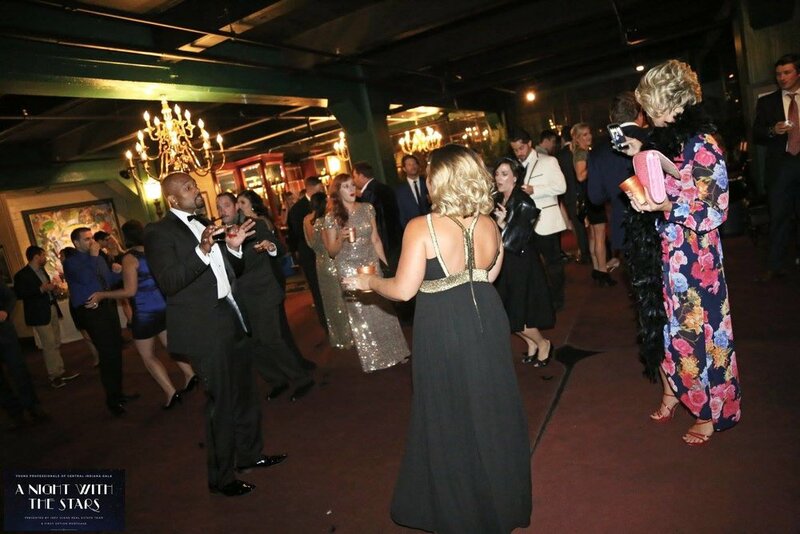 What it's like: It's a night based around philanthropy: supporting good causes. Every year we curate for you a unique experience you won't want to miss. Having fun and supporting a local organization both at the same? We think that's pretty cool. Pro-tip: While you're at the event, start a conversation on philanthropy. Find out what causes other YPs care about and why. Reflect on causes you care about. Find local organizations that do similar cause work. Give or donate your time to them. What it's like: For amateurs and pros alike. If you're new to golf, this is the perfect, relaxed event for you. You'll be around several others who are new to it, too, and there'll be plenty of downtime to connect with those in your group. Pro-tip: See if any new connections you've made would be interested in joining a group for 18 holes. This would be a great way to get to know recent connections better. What it's like: A night of fancy, a night of fun. There's a new theme every year so we can't give away too many details. We have to keep a bit of mystery to it. We'll just say this: you won't want to miss it this year! Pro-tip: Embrace the theme and coordinate your outfit accordingly.